You are now able to send and receive messages via email notifications in the Messages Module. 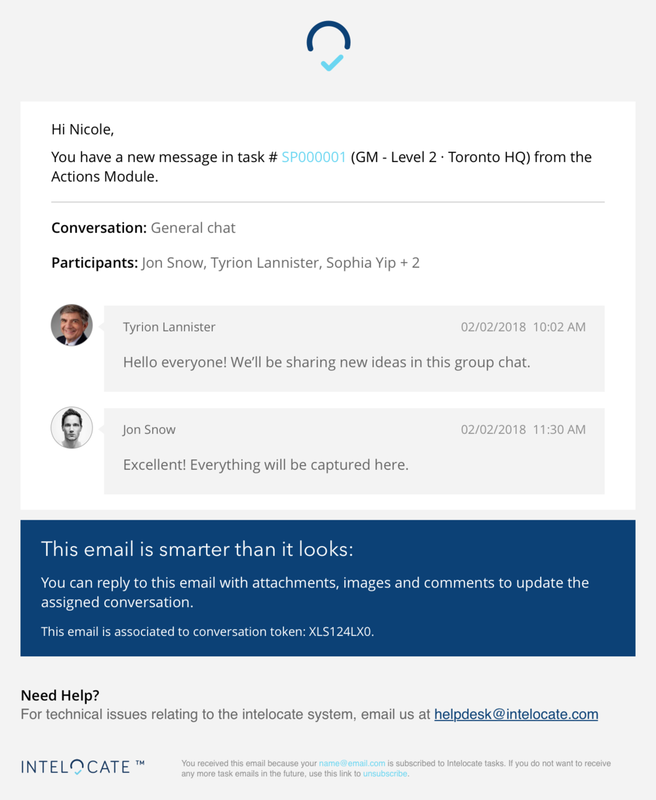 Once a chat participant sends a message in the platform, you will receive an email notification where you can respond to it directly from your email. If you do not wish to receive notifications from the Messages Module, you can turn it off by unsubscribing “New Message” on the Email notifications setup page. We have also applied the same email notification template to task’s conversations. Notifications can be turned off on the same setup page by unsubscribing “New Message in Task”. In an attachments shareable link, you can now click on each thumbnail image to display the native-size image in a separate browser tab. We have optimized platform performance to load contents faster on the Dashboard, Locations, and Actions Modules.